Bakugan Battle Brawlers started as a Japanese anime television series produced by TMS Entertainment and Japan Vistec. This popular TV series debuted in Japan in 2007 but really caught fire when it was introduced to U.S. audiences in February 2008 on Cartoon Network. Check out Bakugan anime Bakugan Characters page for more information about the program. This website addresses the extreme popularity of Bakugan Battle Brawler game that was developed by Sega Toys and Spin Master. This strategic game uses about over 100 (and growing) magnetic spring-loaded miniature balls (or marbles), which popped open into Bakugan Battle warriors when they are strategically rolled onto a metal gate card. Each of the warriors has an unique attribute (some possess more than one attributes) that can be used with gate cards to formulate battle plans and players must adhere strictly to the official rules by Spin Master. The objective of the game is to capture three of the opponent's Gate (or Metal) cards or defeat all their Bakugan warriors. This game and in particular the Bakugan balls have become extremely popular and addictive, largely due to the highly collectable nature of different warriors types, categories, colors, attributes and strength (designated as G). Check out the Bakugan Rules page for more information about the game. Don't forget to checkout our Amazon Stores throughout each Bakugan ball listings and get your favorite brawler balls! You can find ALL currently available bakugan listings from the Bakugan BALLS page. Each of the Bakugan balls has one of the six attributes (or elements). 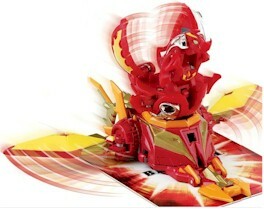 Bakugan Mobile Assault Vehicles or BMA are a type of Battle Gear. 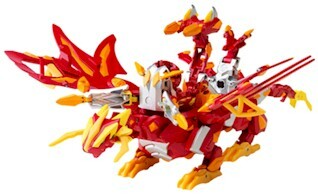 Unlike other Battle Gear, the Bakugan are attached to them, making it compatible to any Bakugan. When a Bakugan is placed on an closed BMA, it opens up. Also, unlike Battle Gear, they have an attribute that must match the Bakugan using the BMA. A maximum of 2 BMAs can be used in your force (Trap/BMA, Battle Gear/BMA, or BMA/BMA). They each come with a Reference Card listing what type of Gate card (Copper, Silver, and/or Gold) they can be used on and it's special abilities. You put the bakugan on the mobile assault vehicle, then roll it onto a Gate Card. The Bakugan gains the BMA's G-Power only on the two types of Gates listed on the BMA's reference card. If the BMA is used on a Gate card NOT specified by the reference card, the BMA is destroyed (removed from the game entirly) and the Bakugan is used in normal battle. On Bakugan Dimensions, they are used as normal battle gear. Get Jakalier Bakugan Now. Xuan is a 7th grader attending Diamond Middle. She is also a young accomplished pianist. Meng is a 4th grader attending Harrington Elementary. He is an expert Bakugan Brawler.